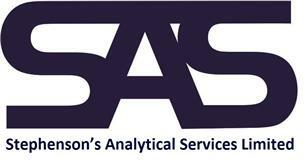 Stephenson's Analytical Services Limited - Asbestos Services based in Hythe, Hampshire. Here at Stephenson's Analytical Services Limited we have extensive knowledge and experience within the asbestos industry, having worked across-the-board in the domestic, commercial and industrial sectors. From our offices in Southampton and Alton we offer competitively priced asbestos services throughout the South of England. We pride ourselves on our hassle-free, efficient and communicative approach to projects big and small. Our own in-house UKAS-accredited testing laboratory also means a fast, reliable and affordable turnaround of results. · Management Survey – This the standard survey. Its purpose is to locate, as far as reasonably practicable, the presence of and assess the extent and condition of any Asbestos Containing Materials (ACMs) which could be damaged or disturbed during normal occupancy, including foreseeable maintenance and installation. · Pre-Refurbishment Survey – An intrusive survey, usually requested prior to planned works, when all or part of a building is due for refurbishment. Can be carried out in targeted areas in conjunction with a Management Survey. · Pre-Demolition Survey - A destructive survey, usually required prior to demolition works. Can be carried out to targeted areas only or entire building. · Sampling and Analysis - Our in-house UKAS-accredited laboratory in Hythe, Southampton offers fast and affordable sample analysis. We can provide instruction on how to safely take your own sample or arrange an on-site assessment and sampling visit. If you are concerned you may have come across a suspect material, our fully qualified surveyors and analysts are here to help. For a free, no obligation quote give us a call or an email. Our friendly and knowledgeable team are always happy to help.